The Minnesota wedding season is right around the corner. Everyone knows you never know what you're going to get in this atmospherically wild and crazy state. In fact, this coming weekend our clients are now planning for a winter wonderland wedding in mid April! 5-8 inches are on the horizon. With weddings you want to plan for everything and most importantly enjoy what you get and maximize all the creativity you can from what Mother Nature gives you. 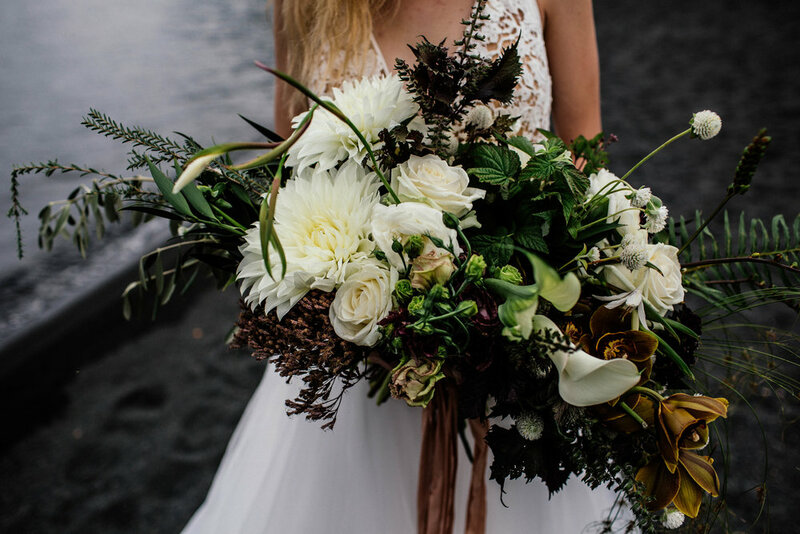 In this gorgeous and romantic elopement shoot we were given overcast skies on the black beaches of the North Shore. I prefer to capture the moment as it is and then help it take off! You may want a light and airy themed day or a moody romantic day in your photos and while our intentions can always be grand, in reality we want to live exactly in the moment that was given to us. 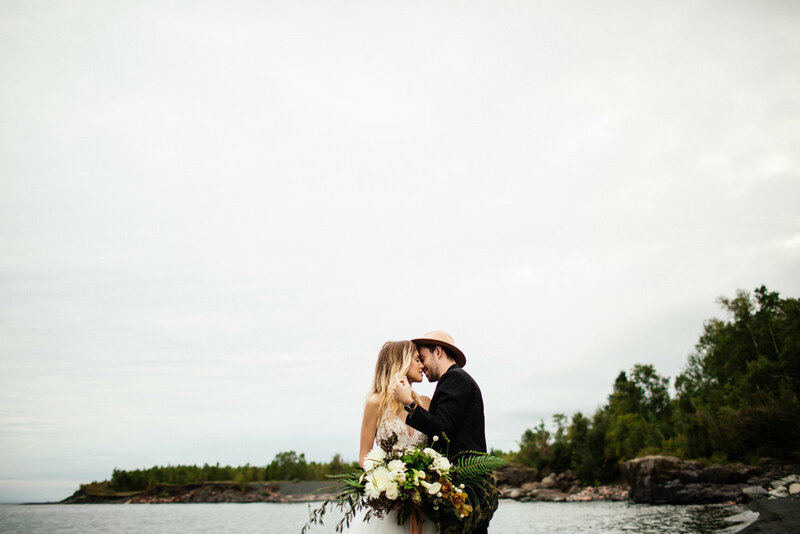 This shoot has all the feels with great contrast that lends itself innocently to this young love. I often think about what wedding I like best. Do I want it big or small? Do I want an intimate or an affair worthy of Gatsby? I'm also the worst to ask because I want them all. I'm reminded of a Two Door Cinema song here... anyone? :) You see, I want both! Most people and budgets call for one or the other. So, pick wisely. There are naturally pros and cons to each. I will tell you what I love about the small and intimate is that it can truly be anything you want it to be. Do you want caviar with your closest 6 on a private beach with no one else in sight? I've done this it was amazing! Do you want to run wildly along the water's edge like this is your own world made just for you? I liked this a lot too! The seclusion of this shoot reminded me of a conversation I had with a woman in Bali last week. She said she loved Bali 4 years ago because she could run on the beach naked and she felt like the whole island was hers. Now others have joined her on this beach so she's in search of her next location where it can be just her and the world. Ask yourself these two important questions and then plan from there. One, how wild, authentic and free do you want to feel on your wedding day? And lastly, who is this wedding really for? You'll plan everything right if you start there!